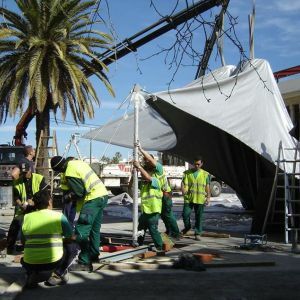 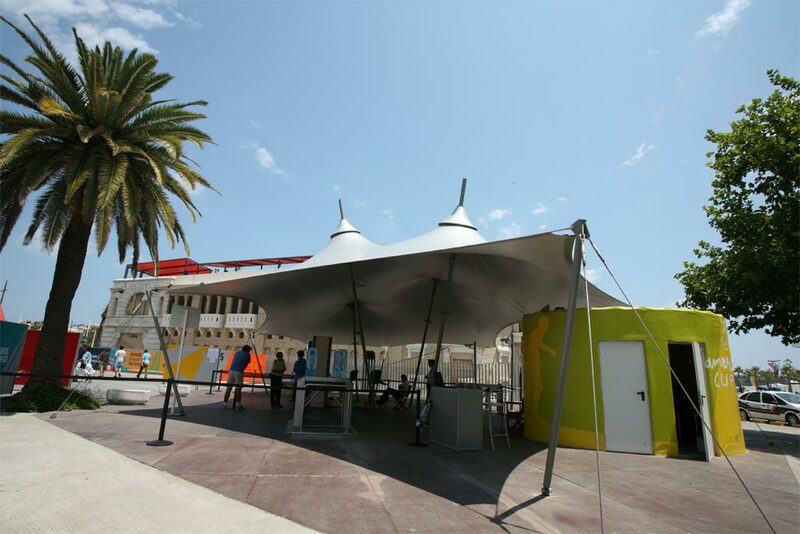 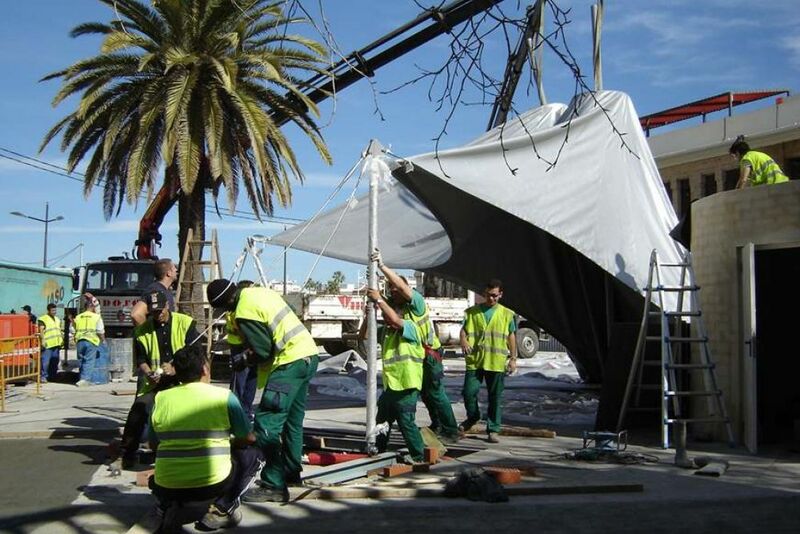 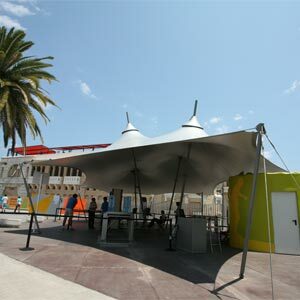 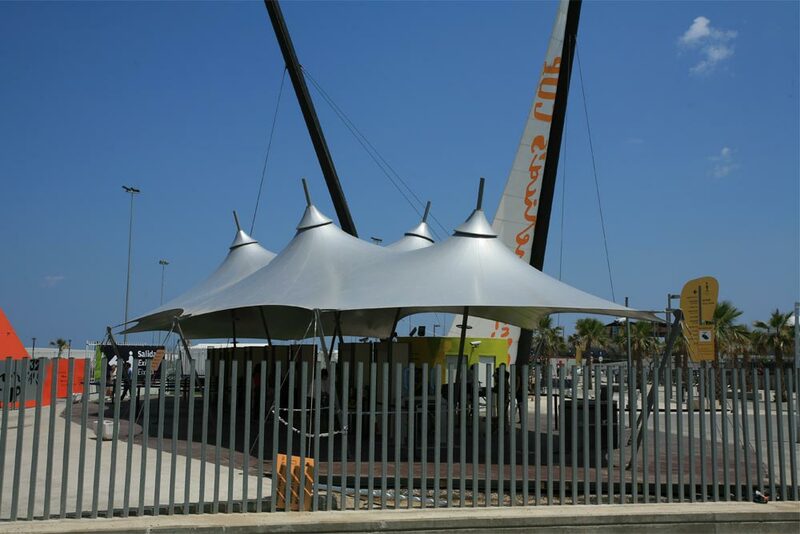 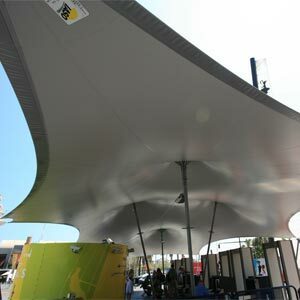 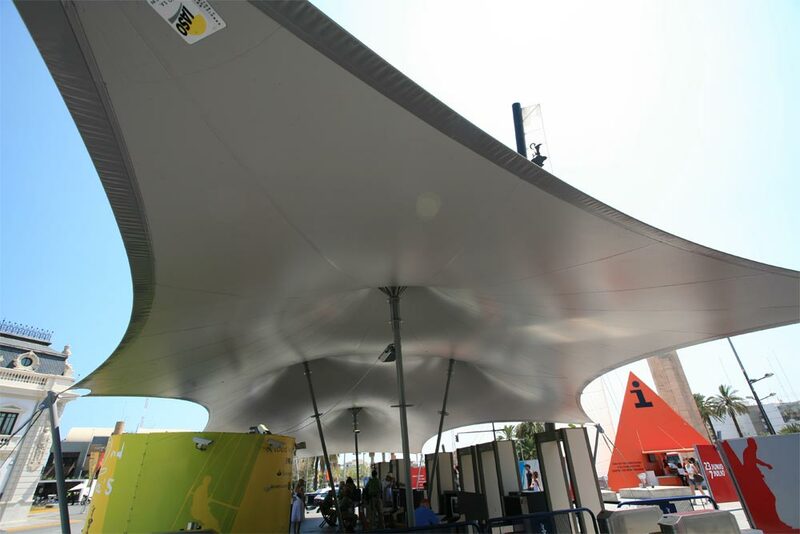 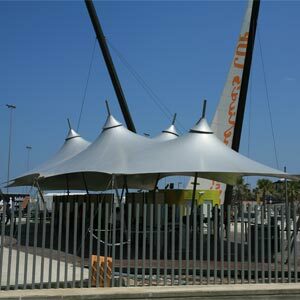 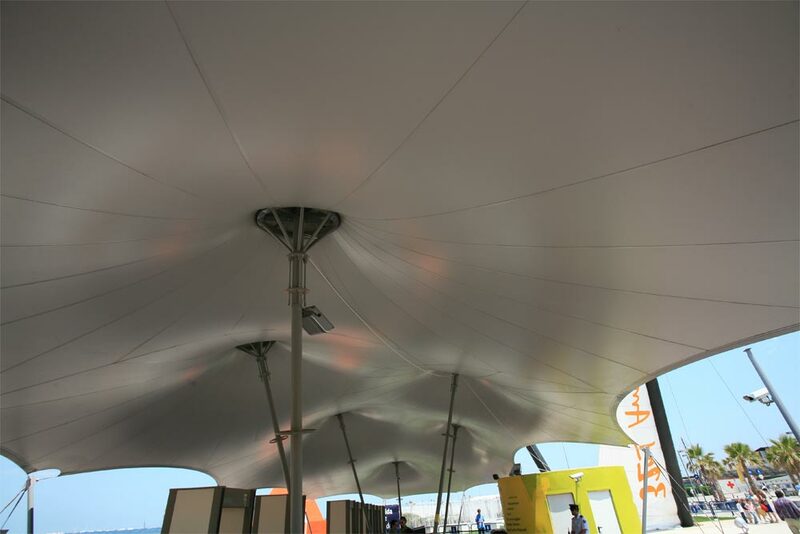 For the 32nd edition of the Copa América, which took place in Valencia in 2007, 4 coverings were built for the entrance to the enclosure next to the port. 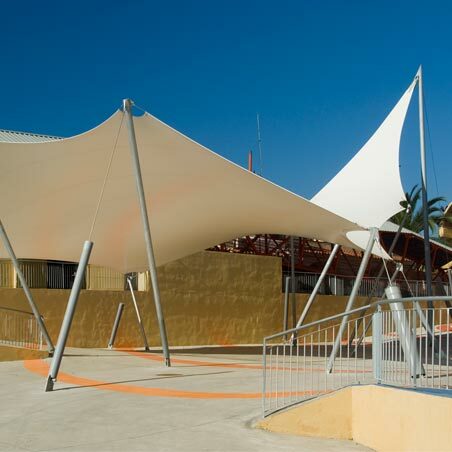 All had the same typology, but different dimensions. 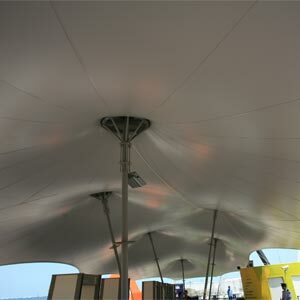 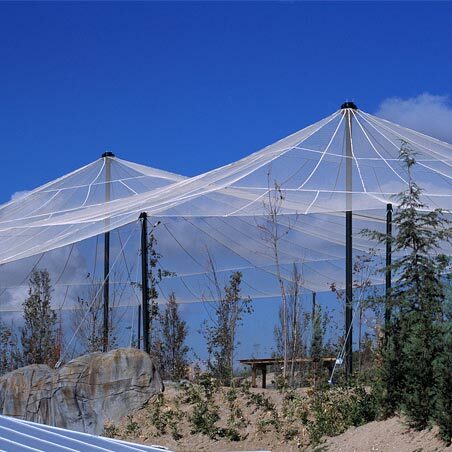 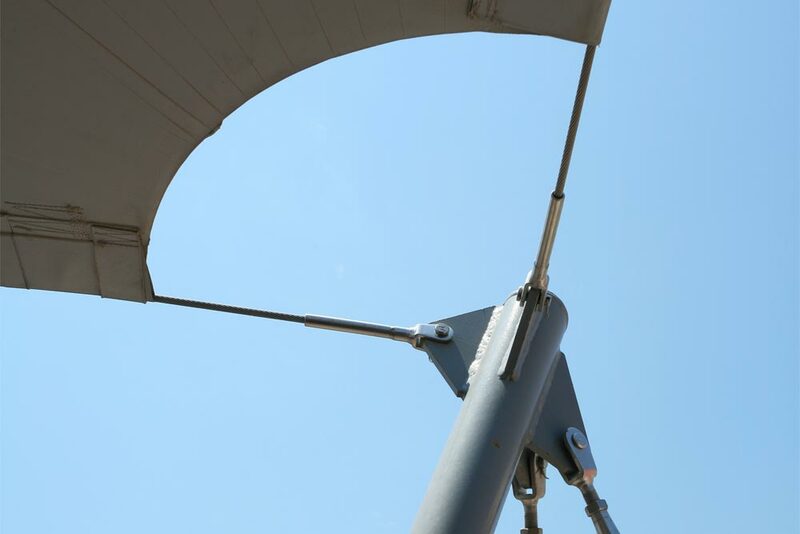 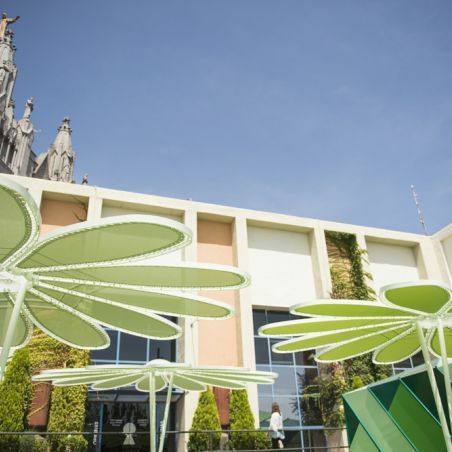 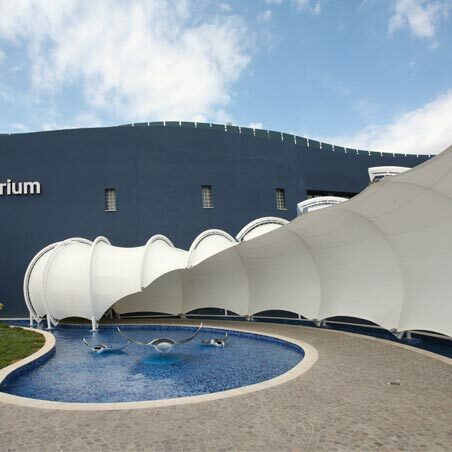 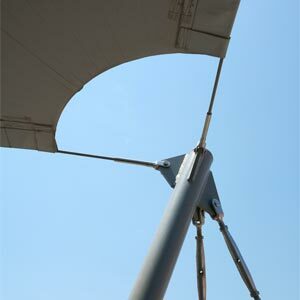 Each membrane consists of several high points that rest on articulated metal pillars, while the contour of the covering characterises the arches whose vertices are stayed through cables, fastened to the foundations.